The other night I attended a talk at the New Museum about the future of Nuit Blanche in NYC. One of the panelists was an organizer of the Nuit Blanche in Toronto and she spoke about an artist included in this year’s event that instantly intrigued me: Shelley Miller a street artist who creates her work with cake icing and presented an interactive piece titled Throw-Up. Shelley Miller is a Montreal-based artist whose installations, sculptures and public works have been exhibited across Canada as well as India and Brazil. 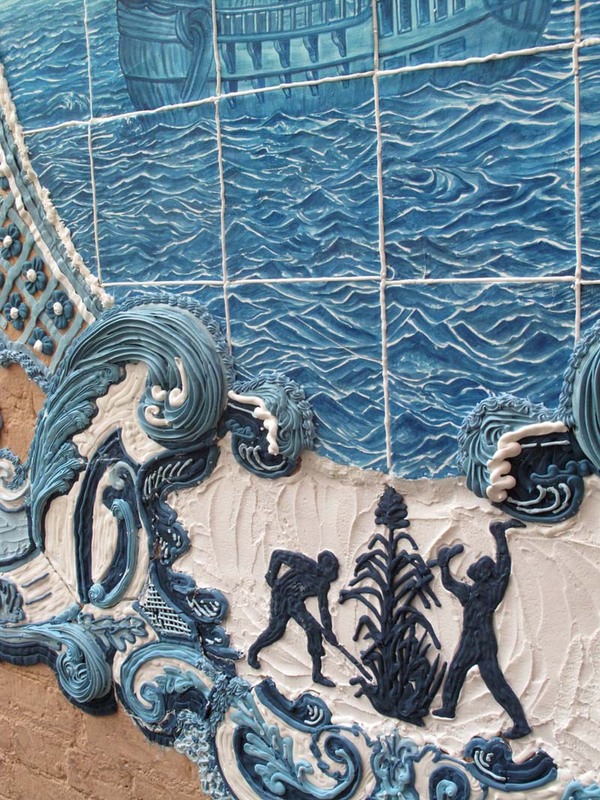 Much of her work is created using sugar and cake icing. 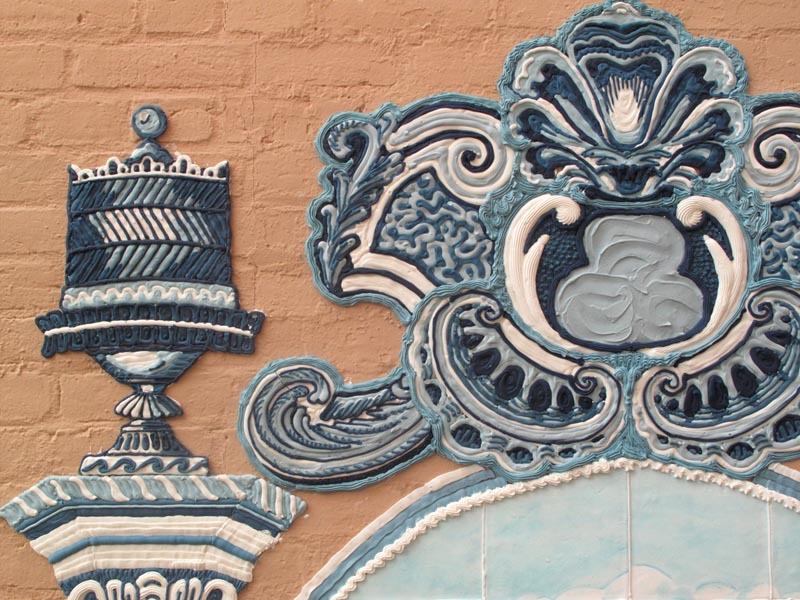 Her murals and street art tags made with these cake-decorating techniques reference history and other cultures. 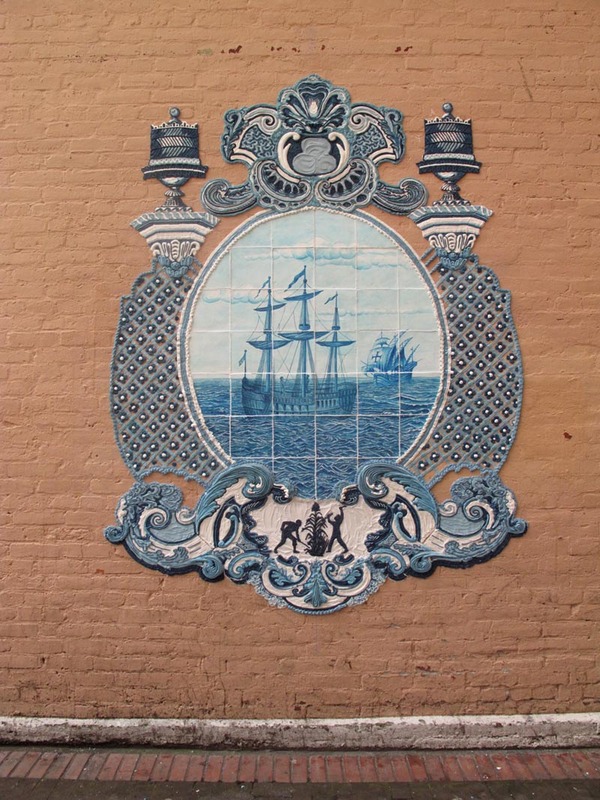 Some examples are her murals depicting the history of sugar, linking the port of Montreal into the global network of sugar’s history and the slave trade that supported this industry. Miller’s graffiti tags, also made with icing, at closer look recall the decorative scrolls of arabesques and calligraphy from ancient mosques, temples and pottery spanning the history of decorative arts. The ephemeral aspect of this work adds another interesting dimension when it begins to melt, causing a dripping effect. All around impressively done! This entry was posted in Art, Fun, Graphic Design, Pop Culture, Street Art, Stuff We Like. Bookmark the permalink.